OneDrive for PCs can be configured to save network bandwidth by modifying it’s sync settings. Pause Syncing : Syncing can be temporarily paused for either 2 hours, 8 hours or 24 hours if needed. 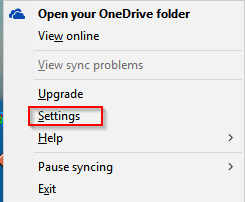 To enable this, right click on OneDrive icon and select Pause syncing. 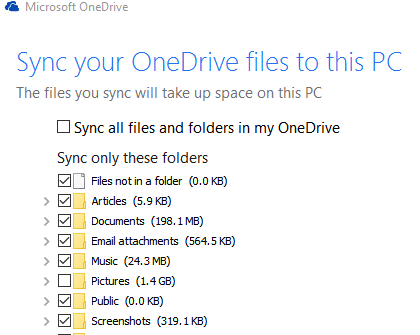 Limit downloading/syncing of large files and folders to PC: Again, right click on OneDrive icon from system tray but this time access Settings. From the Account tab, click on Choose folders. Uncheck those folders which are not used often or are too large and not important. 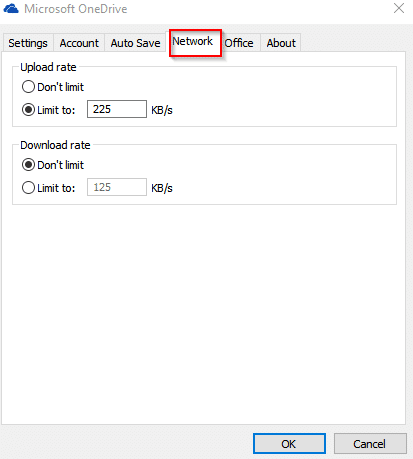 Limit transfer rate : There is also an option of manually limiting upload/download sync rate. To set this limit, select the Network tab and enter the transfer rate as needed. These sync settings can be utilized as needed. Also, to troubleshoot OneDrive sync errors, refer to this earlier article.